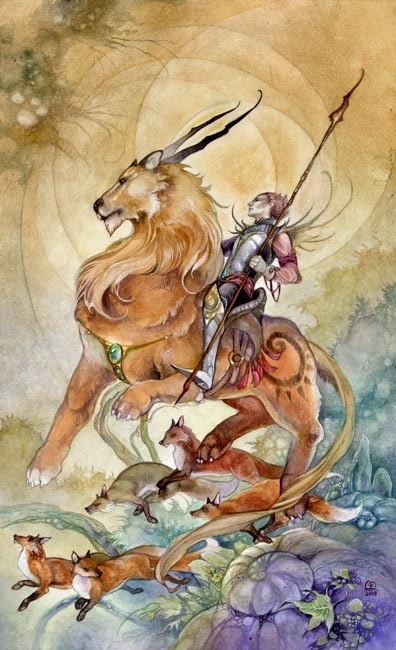 The Knight of wands is an individual full of daring and passion. He is on a journey for adventure. He does not necessarily seek it but his presence invariably spurs rivalry and conflict, perhaps because of his cocky and assured attitude, and self-confidence. He is a knight with a lion's heart, and the cleverness of foxes, though not always the wisdom to match it.